The current generation of the Porsche Macan, on sale globally, is most likely to be its last petrol-powered one. Among international car brands, Porsche seems to be one step ahead in terms of its transition from ICE (Internal Combustion Engine) models to hybrid/electric versions. 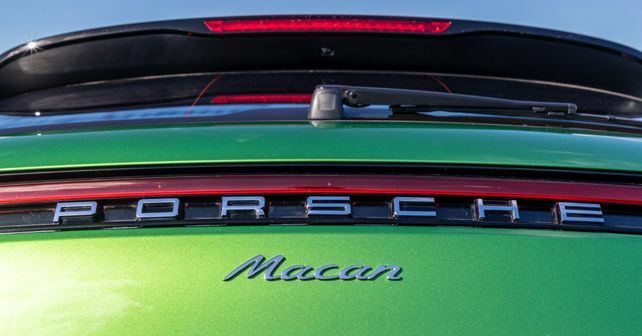 After the announcement of the Taycan, folks at Porsche AG have now given a green signal to convert the Macan into a fully-electric model, starting from its next generation. With this, the Macan will be the first all-electric SUV from the Stuttgart-based manufacturer. Meanwhile, the Taycan will spearhead the company's electric mobility mission, as it will go on sale by the end of this year. Porsche will also follow it up with the launch of the Taycan Cross Turismo. Commenting on Porsche's future prospects and investments, Oliver Blume, Chairman of the Board of Management at Porsche AG, said, 'By 2022, we will be investing more than six billion euros in electric mobility, and by 2025, 50 per cent of all new Porsche vehicles could have an electric drive system. Nevertheless, over the next ten years we will focus on a drive-mix consisting of even further optimised petrol engines, plug-in hybrid models, and purely electrically operated sports cars. Our aim is to take a pioneering role in technology, and for this reason, we will continue to consistently align the company with the mobility of the future. To support the electromobility push, Porsche is working on converting its Leipzig facility into a production centre for its electric vehicles in the future. This investment, as per Porsche, creates an opportunity for them to produce fully electric vehicles on the existing production lines. Like the Taycan, the next generation of the Macan will feature the 800-volt technology and is based on the Porsche PPE (Premium Platform Electric) architecture.